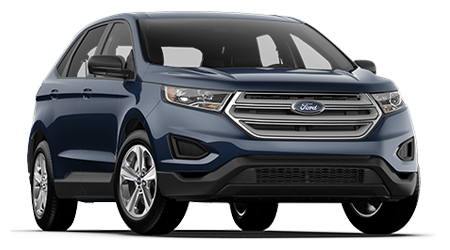 If you have been looking for a vehicle that can tackle a variety of driving needs, while providing you with a comfortable ride, then a midsize SUV is a great option. 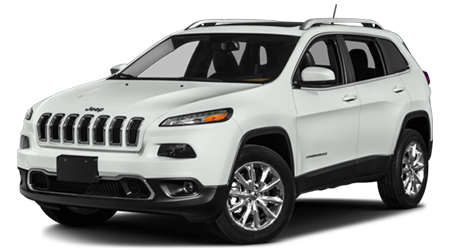 At Greenville Chrysler in Greenville, TX, we're thrilled to carry a large collection of new Jeeps in stock including the 2016 Jeep Cherokee. Greenville Chrysler has served Rockwall, Commerce, Bonham, Paris, Sulphur Springs, and Tyler, TX for an extended period of time with an excellent array of cars in stock. Visit Greenville Chrysler at 5401 Interstate Highway 30 and discover the new Cherokee today. There are a lot of great vehicles in the midsize SUV segment, so let's see how the 2016 Jeep Cherokee does against the Ford Edge. Both the Cherokee and Edge may be classified as midsize SUVs, but one of the vehicles can save you money in the initial purchase. The new Cherokee has a MSRP of $23,095, while the Edge starts at $28,100. That's an initial savings of $5,005 in favor of the Cherokee. With the Cherokee's more affordable price tag, it is the better option for motorists looking to save money. If you plan on using a midsize SUV on a routine basis, then there's a clear option that stands out. The new Cherokee is equipped with a 2.4-L inline-four that's paired to a 9-speed automatic transmission, which helps the midsize SUV return up to 22/31 mpg (city/hwy). On the other hand, the Edge has a 2.0-L inline-four that's matched to a 6-speed automatic transmission that can get up to 20/30 mpg (city/hwy). When using a midsize SUV on a routine basis, you don't want to worry about something going wrong. That's why Jeep packed the Cherokee with an extensive warranty that will give you much needed peace of mind. The SUV comes with a 3-yr./36,000-mile basic warranty, 5-yr./100,000-mile drivetrain warranty, 5-yr./100,000-mile roadside warranty and 5-yr./100,000-mile rust warranty. If you have been looking for a midsize SUV that can provide you with a comfortable ride on a routine basis, then check out the 2016 Jeep Cherokee. With the Cherokeeâ€™s fuel-efficient powertrain, great value and lengthy warranty, it has the edge over the Ford Edge. Stop by Greenville Chrysler at 5401 Interstate Highway 30 and test drive the Cherokee today.